Alright, so I am going to list all of the coupons that reader, Carol, will be receiving in her Washington Post newspaper tomorrow, 7/3. I would suggest checking the list below and also heading on over to Sunday Coupon Preview to get an idea of what coupons you may receive. Please keep in mind that NOT all areas will get the same coupons or coupon values. There will be only one coupon insert available in the 7/3 Sunday newspaper due to the holiday weekend. You’ll receive one P&G coupon insert. Also, make sure to check your Parade Magazine or USA Today (depending on where you live) for coupons as well. * I have highlighted my favorite coupons in red! NOTE: Reader, Carol, received the same coupons as the national one listed in the Sunday Coupon Preview though the dollar amounts and/or quantity were different in some of them. Those that begin with a * are the ones that have different dollar amounts and/or quantities from the Sunday Coupon Preview. Allow 4-6 weeks for delivery. Thanks Sample Stuff! From now through Monday July 4th, you can get your pick of two of the magazine titles below for one year for just $9.99. Just use the coupon code FIREWORS to get this discounted price. Click here to order your magazines. Like CVS on Facebook, and go to the “Special Offers” tab, to register for their Sizzlin Summer Savingscoupon promotion. If they reach 530,000 Facebook fans by June 25th, then they’ll giveaway a Sizzlin’ Summer Shopping Pass for 25% off. If they reach 480,000 Facebook fans by 6/25, then the discount will be20% off. While you’re at Facebook, be sure to ‘Like’ Saving Everyday and join over 15,520 fellow deal seekers! We often post deals and coupons there that aren’t on the site! 10% off beauty shopping pass when you enroll. $5 ECB with every $50 purchase of beauty products (before coupon total). $3 ECB on your birthday. Sneak peek at new items before they hit shelves. You can enroll on the CVS Website or on the CVS Beauty Club Facebook Page – To ensure you receive your welcome coupon by email, add email@extracare.cvs.com to your address book. If you don’t see your email within the next couple of hours, check your SPAM inbox. You’ll need a CVS Extra Care Card to do the ECB deals listed. They are free at any CVS store. Register you card HERE to receive a coupon for $4 off a $20 purchase (via email). Be sure to join the CVS Beauty Club to earn a $5 ECB on every $50 spent on qualifying beauty purchases. 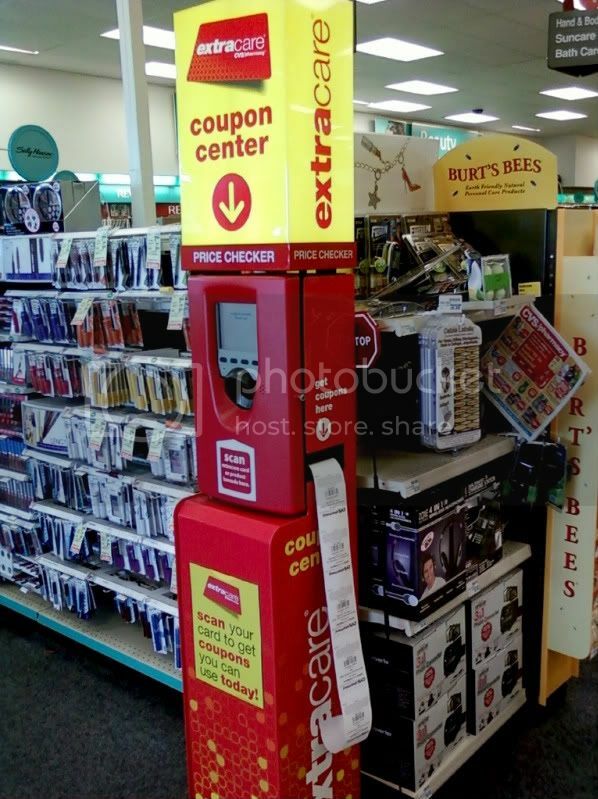 Always scan your CVS Card at the CVS Coupon Center before shopping. Keep scanning until it says there are no more coupons available. An Extra Care Buck, AKA an ‘ECB’, prints on the bottom of your receipt and can be used like cash on your next purchase. (Limit 1) means that is the maximum number times you can do that ECB deal, per CVS Extra Care Card, per offer period. You can use (1) manufacturer coupon and (1) CVS store coupon PER item. You can also use a CVS money off coupon (like a$4 off $20) and pay with any ECBs you have. Remember, ECBs are like cash. Use them after all of your coupons to lower your final total out of pocket. Tip #2. If the coupon tells you that you can get $x Off for ANY product made by that particular manufacture, YOU BETTER BELIEVE that they have a product that’s either the same amount displayed on that coupon or less. Tip #3. If you really really need to buy something… let’s say dish detergent, make sure to purchase the brand that’s giving you EXTRABUCKS back so you can use those bucks later! Tip #4. ALWAYS scan your CVS card prior to purchasing so the machine can load your card up with all of that week’s deals AND so you can get your coupons for items that are on sale for that week. - $4 off Any Lumune Product = I purchase 1 Pack of Lumune Cleaning Clothes (make up remover clothes) $2.99 (CVS had a sale going on that I didn’t know about, 2 or more of this product rings up at $2.75 ea.) So they paid me $1.25 to take this home. - $2 off Wisk He 2x Clothing Detergent = CVS had a sale going on. Buy 1 get 1 free. I got this one for FREE. Retail value including tax … came up to $35.56 … after all of my coupons & my Extrabucks, CVS ended up owing me -$0.03 (I earned $2 in Extrabucks this trip). You heard me correctly! Hurry up and get out your coupon binders/ boxes/ books or whatever it is you keep them in… There are plenty of deals to STILL be had at CVS before Sunday hits… so get it going!!! Cash in the coupons you have… build up your stockpile… and SAVE! SAVE! SAVE!!! As promised in my other post, here are a few deals that are still available at CVS providing you have the coupons to pull it off and if you can find a CVS that still has these items… BUT, if by chance CVS doesn’t you can get a raincheck for the number of X item that you need. I don’t know if there is a limit in quantity that CVS will allow you to get a raincheck for or if the ExtraBucks will still be available. Item #3: Wisk 2x HE Laundry Detergent … Buy 1 Get 1 Free (Sunday’s Paper had $2/1 coupon) TIP! If you have 2 of these $2off coupons, you’d be in GREAT shape because you would be able to use a coupon for each items. Thus, you would get two Wisk’s for 1/2 the price of 1. So here’s the final situation with items #5 & #6… if you pick up 2 #5s and 1 #6, retail its, $17. After your coupons, you’ll end up spending $8. But remember, you will get $5 back in Extrabucks, so its like you only spent $3 on ALL of these items. * TIP! If you have 2 of these $2off coupons, you’d be in GREAT shape because you would be able to use a coupon for each items. Thus, you would get two Wisk’s for 1/2 the price of 1.